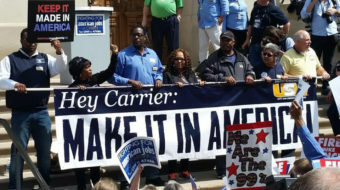 Laid-off Carrier employees in Indiana say that Trump is the enemy of American workers. 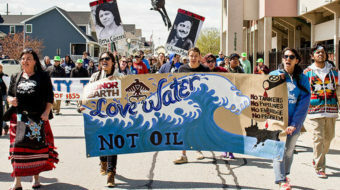 The event, one of hundreds held across the world, was held in Whiting, within sight of a BP oil refinery where workers struck over safety concerns last year. 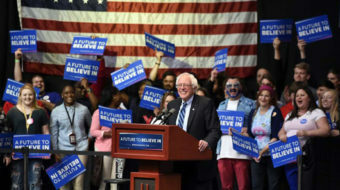 The election outcome will be determined by how the Democratic and Republican parties address the crisis facing American working people. 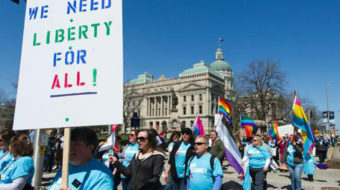 "It appalls me that our legislators used my tax dollars to create, lobby for, and now defend a law that opens the door for discrimination against gays and lesbians." 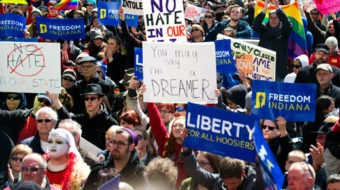 "The so-called Religious Freedom Restoration Act sets Indiana and our nation back decades in the struggle for civil rights."